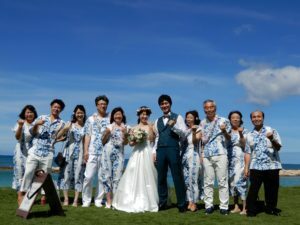 My wife and I went to Hawaii to attend our nephew’s wedding ceremony. The day before the ceremony we boarded a sunset cruise with him, his bride and her family. 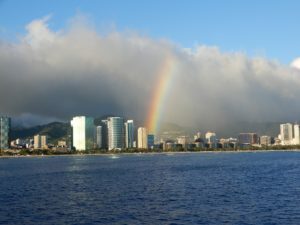 Fortunately we were able to see a rainbow at Waikiki beach. Sure enough it was a wonderful wedding . The next day we went to the KUALOA RANCH, a lot of movies were filmed there including Jurassic park. It is an exciting place. We could try many activities and learn about Hawaiian traditions. ***Student News*** – Ryo Iwaya TIK-TOK Video Award!